Voting for the 2019 Major League Baseball Hall of Fame class is underway. With Barry Bonds trending upwards the past few seasons, will this be the year he finally gets in? To be elected to the Baseball Hall of Fame, a player must be selected on at least 75 percent of all ballots. 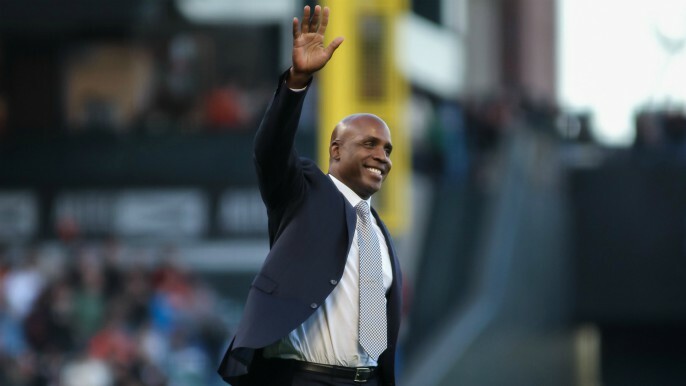 As of this morning, Barry Bonds was polling at 72.8 percent. Since every writer had to submit their ballot no later than December 31st, we will be getting the results soon. It’s still uncertain if Bonds will be elected this year, but according to MLB.com, all six of their eligible voters have voted him in, a growing trend with many writers in recent years. MLB.com writers T.R. Suillivan, Mark Feinsand, Jeffrey Flanagan, Richard Justice, Jon Paul Morosi, and Chris Haft all had Barry Bonds atop their lists. Most of these writers have remained consistent with their voting ever since Bonds was eligible. It’s becoming a trend in the Hall of Fame voting process for writers to come around to the idea that Bonds deserves to be in Cooperstown. Some writers like Chris Haft (who covers the Giants beat) was originally against electing Barry Bonds. “I dismounted my moral high horse regarding Bonds and Clemens two or three years ago.” Haft said. A player is eligible for up to ten years on the Hall of Fame ballot. Since Barry Bonds was ballot-eligible for the first time in 2013, he has three years remaining. In his first year eligible, he was selected on only 36.2 percent of ballots, which goes to show just how many writers are coming around. So far, around 44 percent of the ballots have been collected. The results will be announced on January 22nd.